The sitcom Happy Days captured our hearts and minds from 1974 to 1984. The series was so popular that even today the term “jumping a shark” is used for any TV series that has gone past its prime. The expression is a reference to Arthur Herbert Fonzarelli’s attempt to jump a shark in his leather jacket, which is widely viewed as the nail in the coffin for Happy Days. Happy Days remains in syndication to this very day, making it one of the longest running TV shows in syndication history. Where are the stars of this iconic show today? And which on-screen couple didn’t care for each other? You’re about to find out. 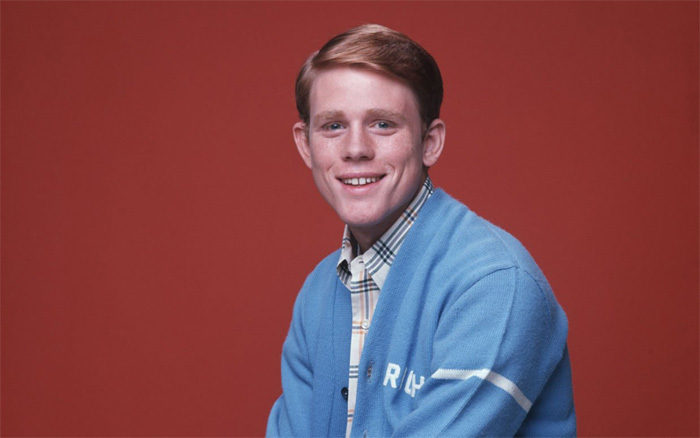 If you’ve seen even just one episode of Happy Days, you caught a glimpse of Ron Howard’s character Richie Cunningham. He was the red-haired, freckled teen who was always trying to find a date. Cunningham was an incredibly likable guy who always tried to do right by his family and friends — a common theme on the show. Before Happy Days, Howard was already pretty famous for his role on The Andy Griffith Show where he played the equally adorable Opie Taylor.